The latest trilogy by a best-selling author.... Mia Montrose is a 21st-century Australian woman with a doctorate in ancient languages who has just scored the most promising job of her career. 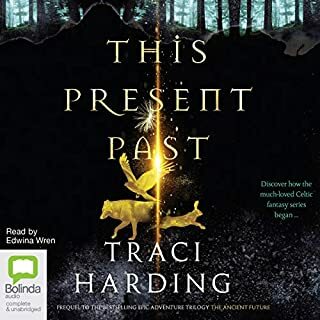 When Mia experiences mysterious happenings and forces beyond her control, she begins to understand that history does not always stay in the past. 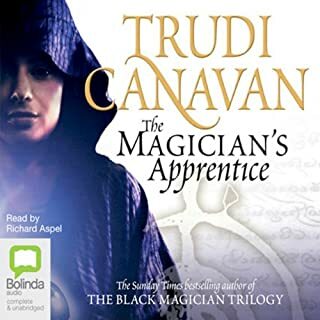 ©2004 Trudi Canavan (P)2004 Bolinda Publishing Pty Ltd. This book is like a wooden roller coaster ride. It starts out slow: Some people complain that it is boring while others just enjoy the view. However, like the wooden roller coaster, once you crest the first and tallest hill things really pick up. Other reviews have mentioned the 'monotone voice' of the reader. This reader uses a very monotone voice as the 'narrator voice'. This reader uses many voices for the different characters (and you can recognize which character speaks by the voice the reader uses!) as the characters are introduced into the book. There is more narration at the start of the book, setting things up, than the rest of the book. ... However, about the third or fourth night I found the book was keeping me awake. I had to stop listening to it at night because I found myself staying awake to find out what happened 'next'! The book had me cheering for 'both sides' of 'the conflict'. I can understand why some people gave it a low rating, and if you just don't like slow starts then don't buy this book. If you don't mind enjoying the scenery and just going with the flow, understanding that things will be explained later, then this is a good book. I couldn't put the second book down and I'm reading the third book right now. 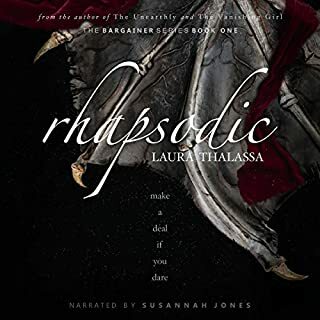 I hesitated to get this book because of the review about the narrator, but I read Magician's Apprentice (new hardcover) first, like it, and decided to try the audio book. I am enjoying it very much, and the narrator seems fine to me. 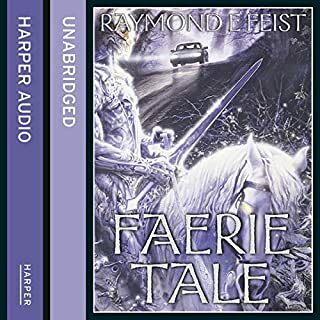 The harsher voice (described by another reader as a smoker's voice) reminds me somewhat of Jim Dale-though he is in a category by himself!- the book is certainly worth reading, and I intend to get the rest of the series. It took me several hours to try and get into this book. I was about to ditch it and rate it a one. But after about a 1/3 of the way through finally I became interested. I don't remember much of the earlier chapters because it was hard to grab your attention and the narration was average early on. - The story is pretty basic and classic. Won't get into details as to spoil it here. But you've heard this story before. - The narration is hard to follow until you get used to the narrator. I found it way to easy to drift away from listening early on. He does a nice job with some of the voices later in the book but his standard narration voice is thick with accent and mono-toned. - The book would make a better movie than a book and I do think it would be a good movie. It's basically written like a screen play more than a novel. By that I mean it takes the entire book for me to get behind the characters and there is little extensive description of the scenes and more description like the author is telling actors what to do and where they are to go. - Having said that, after making it through the first 5 hours somewhat painfully and distracted... I did finally get into it and want to follow it to the end and see what happens even though I was pretty sure I knew. Over all it's average with some rather low parts but towards the end some nice characters that will maybe get you to buy the next book. I enjoyed this book very much. If you like reading fantasy, or magic I think you will like this book. I hope to listen or read the next one. I listen to Fantasy and SciFi, nothing but for about three years now. I'd like to think I've developed an ear for a good story in the making. This sounds like a good story. I think the author lays quite a few plot threads and if she can keep them together this will be a great series. 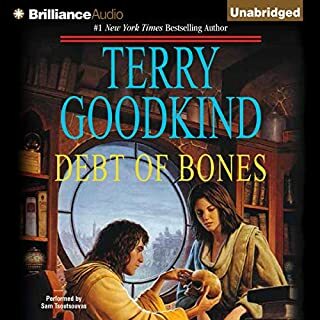 Narrator does an excellent job, which may mask some of what the book lacks in depth but I do recommend this book for Fantasy listeners. I was first put off by the reader's voice (like a heavy cigarette smoker's) but I got used to it, and actually liked it eventually. Same with the book. I couldn't get into it at first. It seemed like a kid's book, which surprised me, there were some obvious grammar mistakes, and it was too long for the amount of story. Where are the editors nowadays? Having said that, I am glad I stuck with it since I got totally hooked later on, esp. when the story dealt more with the magicians and their world. A fun adventure! I am downloading the next book right now. 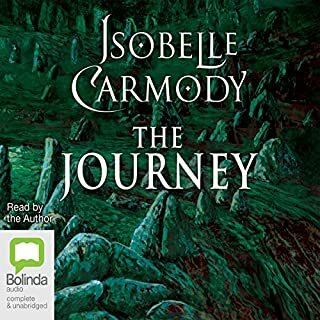 Listen to this book to get to the others in the series. Books 2 and 3 are very interesting and suspenseful. You won't be sorry with your listening investment in book 1. This first book starts off a little slow, but 2/3 of the way in you'll be hooked on the whole series. I have repeatedly tried to "get into" this book but monotone drone with not enough change and richness keeps losing me. The story line sounds interesting but I can't evaluate due to reading. This is a sad waste. A different narrator might make something of story. 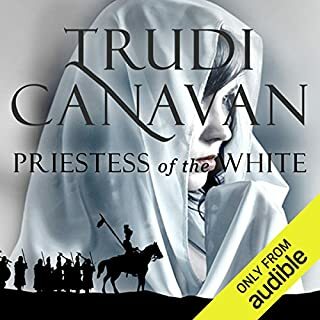 I would recomend this to friends because of the way Canavan shows misunderstanding, struggles, challenges, friendship, blackmail and much much more. I believe this audiobook is let down by the narrator, Richard Aspel. His timing is poor, he uses inappropriate emphasis on sentences and his odd accents distract from the story rather than adding to it. The book itself is fun and interesting. Some points were repeated too often and I found myself thinking: "yes, I realised that was important the first 5 times it was mentioned". However, the pace of the book picks up in the final third and I am very interested to find out how the lead character, Sonea, develops in the next book. 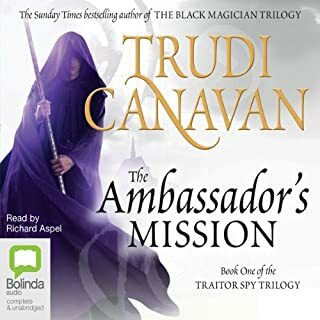 Fantastic story - all of the books by trudi canavan have captivated and held my attention through reading and re-reading! What didn’t you like about Richard Aspel’s performance? 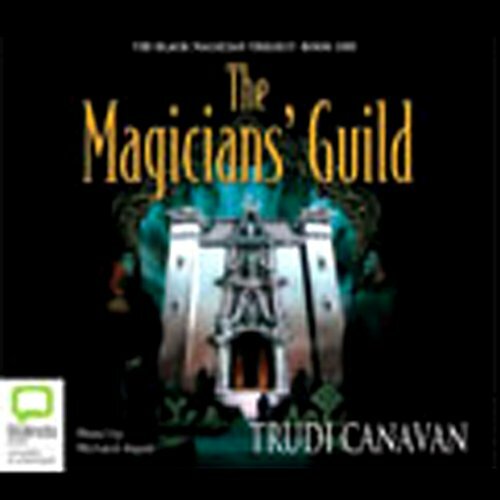 Would you consider the audio edition of The Magician's Guild to be better than the print version? I would definitely not, the books are very well written, and whilst some people think that the beginning of this first book is slow, I don't think that it is so slow that it puts anyone off. It sets the scene and has some very good character development. 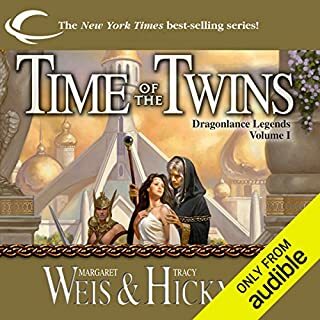 I have the paper version of these books, and downloaded the audio as I have started listening to stories to send me to sleep... though it is almost hard to sleep listening to these as the stories are sooo good!! 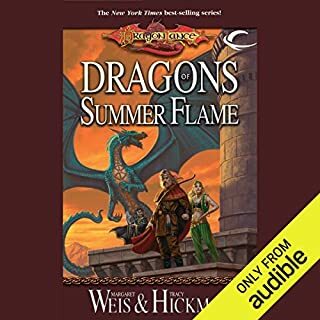 Personally, I prefer reading as I can then give the characters my own voices and personality parts, I was not a fan of how they were portrayed in this audio book. In the written version, Sonea. In the narrated by Richard Aspel version - I will say the whole story, despite how much i disliked the narrator. I found it very difficult to appreciate the weird voices that Richard put on, especially his version of Sonea which I found very annoying. She is supposed to be a proud, brave young girl and Richard voiced her as a pathetic weakling which i found awful! As annoying as I found Richard Aspel, I have downloaded the second book in the series 'The Novice' and will also get the third. This series is one of my favourite sets of books and I refuse to let the narrator put me off! 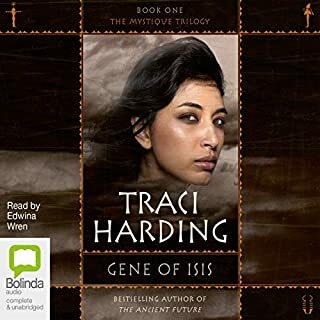 I hope there is a different narrator for the 'Age of The Five' books as by then it may have become too much, and I don't want to risk Richard Aspel ruining Auraya for me too! I love the Black Magician's Trilogy. 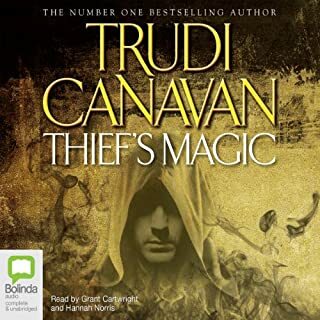 I've read it (and all other Trudi Canavan books) countless times. 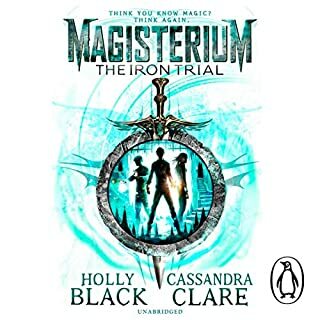 So when I had a lot of walking-to-work coming up I thought that rather than read the series again, I'd listen to it, and so downloaded The Magician's Guild. What a mistake. Don't bother with this. The narrator has a voice like a petulant, spoilt brat and I couldn't stand her whining. That I even "listened" to a whole hour of this boils down to the fact that I left the room and watched the news to escape the awful sound. 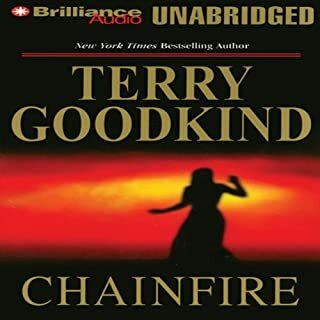 This was my first Audible purchase and it put me off so much that I deactivated my account as soon as I could get back online. I've only just come back now after a friend convinced me that not all books were so terrible as this one. But this audio book was a waste of time and money for me. No, print books are always best but audio is good for while doing other stuff. What three words best describe Richard Aspel’s performance? 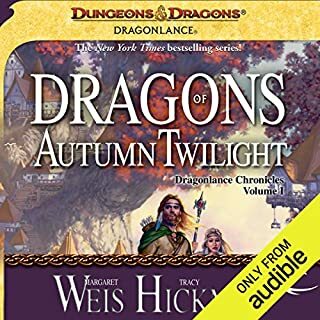 Narrators voice is annoying , he uses corny accents for the characters and the accents he uses are inconsistent (particularly between books in the trilogy) meaning he takes a while to get used to. I love fantasy, and the level of detail Canavan puts into Sonea's world is brilliant. 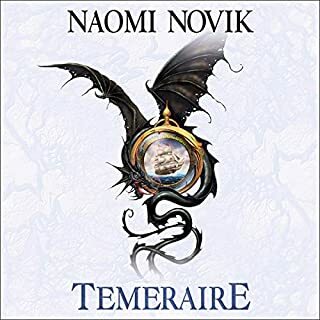 It is beautifully written, and I thoroughly enjoyed listening to it after having read it back at the start of high school! Anyone who likes Rowling, Tolkien, C.S. Lewis' Narnia and Gaiman will appreciate this series! 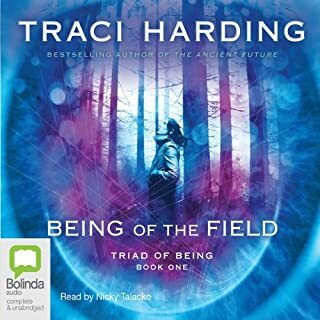 I really enjoyed this audio book and I'm not really a fan of the Genre. It takes a little while to warm to the story but stick at it as very soon you'll be enthralled. 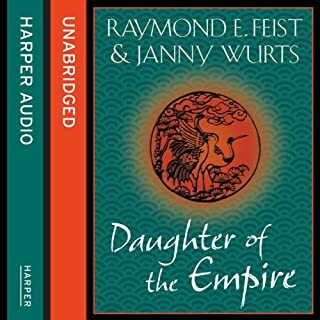 The second book is possibly even better, and I?m really looking forward to when audible to have the 3rd unabridged book in the trilogy. This is a great fantasy/sc fi book, which is suitable for all ages. The narrator was brilliant....he helped me to visualize the individual characters. The story is about Sonea who has magic but doesn't realise it. When she accidently uses it, the Magicians Guild start to look for her, and suddenly she becomes the most wanted person in town. I highly recommend this especially to younger readers...it is a great start into this genre.